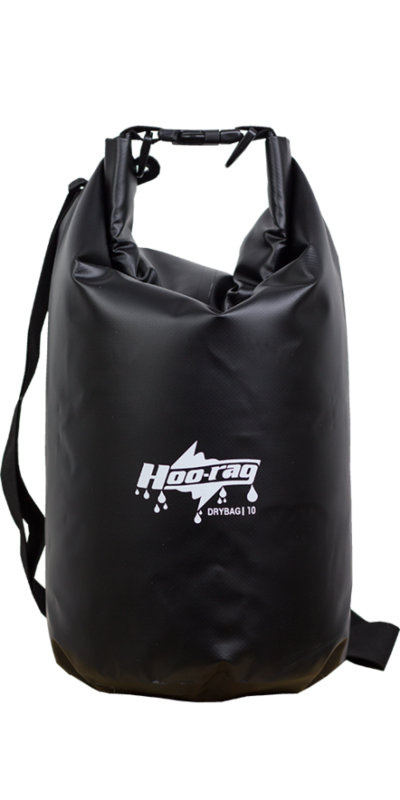 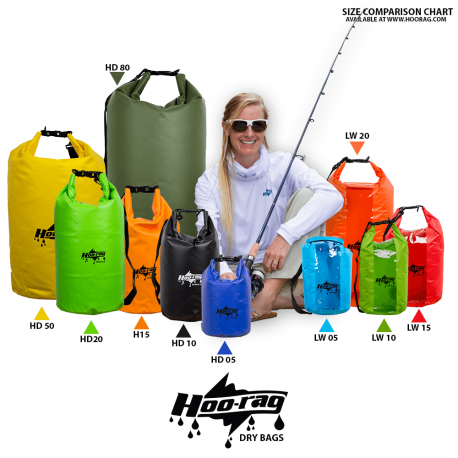 The Hoo-rag 10L HD dry bag is constructed with heavy duty PVC material that is made to take a beating, Our dry bags are perfect for keeping your stuff dry while you enjoy all that Mother Nature has to offer. The HD 10 has 10 liters of storage and comes with a D ring tie down and carrying strap. 10 liters translates to just over 2.6 gallons of dry storage space.